AIR TECH BUD Sp. z o.o. 2. How can you contact us as the Controller of your personal data? 3.3. participant of our employee recruitments. 4. Do we process other types of data? 4.1. Where can you find information on how we process data related to conclusion and performance of the agreement? 4.2. Do we process other types of data? 5. Do we transfer your data outside the EEA? 6. What are your rights regarding the processing of your personal data by us? 6.1. What are the exact rights you are entitled to? 6.2. How to exercise them? 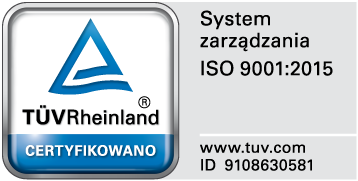 with its registered office in Bochnia (address: Partyzantow Street No. 26, 32-700 Bochnia), entered into the Register of Entrepreneurs of the National Court Register maintained by the District Court for Cracow - Srodmiescie in Cracow, XII Commercial Division of the National Court Register under KRS number: 0000171626, holding NIP number: 8681003706 and REGON number: 850364907 . 3. DATA PROCESSED BY AIR TECH BUD Sp. z o.o. If you are our (potential) contractor or contact person from our (potential) contractor, your personal data will be processed by us in order to contact you on current issues, in particular to respond to your inquiries and possibly to continue contact, accept and present offers, conduct negotiations, as well as conclude and perform agreements between us and you or your employer/entity who you represent and maintain relations with them. If you are our potential contractor, the ground for processing of your personal data is the performance of the agreement or taking steps aimed at its conclusion (art. 6 par. 1 let. b of the GDPR). If you are an employee or associate of our (potential) contractor, designated for contact, then the legal ground for processing of your personal data is our legitimate interest (art. 6 par. 1 let. f of the GDPR), consisting in the maintenance of relations and contacting our contractors. your employer/entity you represent as our (potential) contractor provided it to us, indicating you as a contact person on his/her part. If you are an employee or associate of our (potential) contractor designated for contact, we process your personal data only for contact with you and we do not process other data than your name, surname, position, telephone number and e-mail address. If you are our (potential) contractor and we take steps aimed at conclusion of the agreement, then we process your data necessary to conclude a future agreement, i.e. business address, correspondence address, NIP number and REGON number. Other data may be processed by us only if we obtain it from you. The provision of your personal data is voluntary, but we only collect the data we need, so without it we will not have the technical possibility to contact you or conclude the agreement with you or your employer/entity you represent. We will process your personal data for the duration of ongoing communication - answering questions and possible further communication, preparation of offers, exchanging further correspondence, etc. After this period, as well as in the case of conclusion of the agreement with you or your employer/entity you represent, your data may be processed until the limitation of possible claims. In terms of data processed by us on the basis of a legitimate interest, the data may be deleted earlier if you object to its processing. We will only share your personal data with entities with whom we cooperate in the conduct of our activities (service providers), in particular, providers of accounting, legal, IT, hosting, etc. services. If you contact us or we contact you on other matters than in order to cooperate with us as our contractor or contact person from our contractor, your personal data will be processed by us only to settle the matter related to contact. The legal ground for processing of your personal data is our legitimate interest (art. 6 par. 1 let. f of the GDPR) consisting in servicing correspondence addressed to us and settling current matters, e.g. official matters, etc. related to our economic activities. you made it publicly available or through your employer/entity you represent. If you provide us with your data, then its provision is voluntary, but without it we will not have the technical possibility to contact you and settle the matter you addressed to us. We will process your personal data for the duration of ongoing communication - answering questions and possible further communication. After this period, your data may be processed until the limitation of possible claims. Your data may be deleted earlier if you object to its processing. If you intend to submit your candidacy to work with us, remember that it is sufficient for us to provide data specified in the labor law. If your provide us with other data not required by us, we acknowledge that you agree to its processing. You can withdraw your consent at any time, but this does not affect the lawfulness of data processing prior to the withdrawal of consent. As part of the recruitment, we process personal data to assess your qualifications and experience for work at the position you are applying for, contact you to arrange meetings, conduct job interviews, negotiate the future agreement and take a decision about your employment. If you agree to this by sending your application, your data may also be processed by us for future recruitments, until your consent is withdrawn. 3.3.2.4. processing of your personal data provided by you during the job interview, in order to verify your qualifications and skills at the position you are applying for. We will process your personal data until the completion of the recruitment process for the position you are applying for, and after this period until the possible claims are limited. In terms of data processed by us on the basis of a legitimate interest, the data may be deleted earlier if you effectively object to its processing. If you gave consent to the processing of your personal data in recruitments conducted by us in the future or to the processing of data to a greater extent than we require, your data may be processed until you withdraw your consent. 4. OTHER TYPES OF DATA PROCESSED BY AIR TECH BUD Sp. z o.o. Your personal data will also be processed if you decide to conclude the agreement with us. Before collecting the data to conclude the agreement, we provide detailed information regarding the processing of your personal data, regardless of whether you conclude the agreement as our contractor or employee. In connection with our activities, we collect and process data in other cases, for purposes related to the initiation and maintenance of business contacts, e.g. during business meetings, or by exchanging business cards, etc. The legal ground for data processing in such situations is our legitimate interest (art. 6 par. 1 let. f of the GDPR), consisting in the creation and maintenance of relations with our customers, contractors and associates. Personal data collected in such cases will be processed by us only for the purpose for which they were provided to us and are not transferred to any other persons, except entities with whom we cooperate in the conduct of our activities (service providers), in particular, hosting providers, etc. Your personal data collected in such cases will be stored for the duration of our relations justifying mutual contact for cooperation purposes, or until you object to the processing of your data. On this basis, you can obtain information about the processing of your personal data by us, in particular about purposes and legal grounds for processing, type (categories) of data, recipients with whom we share your data and about the planned processing time of your data. If you make such a request, you will obtain the copy of your data from us that we process. If your data we process is incorrect or incomplete, you can at any time ask us to correct or supplement it. You may request the deletion of your personal data that we process in the situation where it is no longer necessary to achieve any of the purposes for which it was collected. In the event of the request to limit the processing, your personal data will no longer be processed to another extent than its storage, until the reasons for the limitation of its processing cease to exist. In addition to storage, your personal data may be processed exceptionally on the basis of your consent or to determine, pursue or defend claims, or to protect the rights of another natural or legal person, or for important public reasons. If we process your data on the basis of the agreement or your consent, you can ask us to transfer your personal data provided to us in a format that allows its reading by the computer. You can also request the data to be sent to another entity, but only if it is possible due to technical capabilities existing both on our side and on the side of the entity to whom you want to send your data. In terms of data processed on the basis of our legitimate interest (this is the basis indicated in art. 6 par. 1 let. f of the GDPR), you can object to the processing at any time. Remember that your objection concerning the processing in others should be justified. You can object to the processing of your personal data for marketing purposes without justification. If your data is processed on the basis of your consent (the basis indicated in art. 6 par. 1 let. a of the GDPR), you can withdraw your consent at any time. The withdrawal of consent, of course, does not affect the compliance of our processing of your data before the withdrawal of your consent. If you believe that our processing of your personal data violates the provisions of the GDPR or other provisions regarding the protection of personal data, you have the right to lodge a complaint to the President of the Office for Personal Data Protection. You will receive the answer to the request in the same way as you submitted your request, unless you clearly indicate the form in which you wish to receive it. If we are unable to identify you on the basis of your request, we will ask you for additional information. The request for exercising your rights is processed within one month of its receipt. This period may be extended, in which case you will be informed along with the reasons for extension.